President of Ireland Michael D Higgins unveils the Luke Kelly sculpture in Dublin. 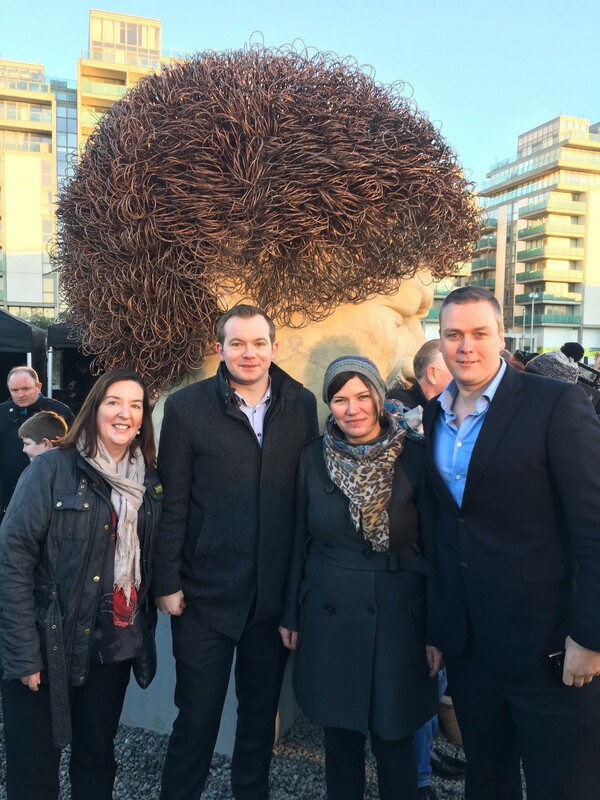 Atkins Ireland has been working behind the scenes with award winning portrait artist Vera Klute to bring her head sculpture of Luke Kelly to a reality. The statue of the legendary singer and Dubliner, which takes up residence next to the Royal Canal beside the Convention Centre, was unveiled by President of Ireland Michael D. Higgins and Lord Mayor of Dublin Niall Ring this week. Atkins Ireland provided the engineering expertise in supporting this head sculpture, which is over 2m high working closely with Vera Klute up until it’s installation this week. We are delighted to have been involved in the project and it was a pleasure to work with this very talented artist.